Bobo Lo’s new book provides both a fine-grained analysis of the Russian approach to foreign policy under Vladimir Putin and an incisive critique of it. Lo describes in detail Putin’s dual image of America and the West as being expansionist and a threat to Russia on the one hand and as being in decline, in need of cooperation from Russia, and containable as a result of Putin’s ability to act more quickly and effectively than them. One of the most important defects in Putin’s foreign policy approach, the author points out, is to assume that America’s declining ability to manage world affairs somehow results in increased Russian (as well as Chinese and other non-Western) ability to do so. But, as Lo observes, “the days of major powers running global affairs are gone. The real lesson from the fiascos in Iraq, Afghanistan, and Syria is not the decline of U.S. power, but the inability of any power (or powers) to direct positive change beyond its borders” (p. 98). Another defect, Lo notes, is Putin’s obsessive focus on the United States. “Moscow asserts that the era of American dominance is over, but continues to take the United States as the prime reference point not just for Russian foreign policy, but for international politics more generally” (p. 98). What this has resulted in is that governments in other parts of the world, notably Asia, understand that Moscow is far less interested in cooperating with them than in recruiting them for Russia’s many anti-American schemes. While these countries may be interested in building cooperation with Russia, most are not willing to do so at the expense of harming their more considerable cooperation with the United States. Although Lo sees liberalism as offering the best opportunity for Russia to cooperate with other countries and play an important role in world affairs, he is relatively pessimistic about Russia’s international prospects under all these scenarios. 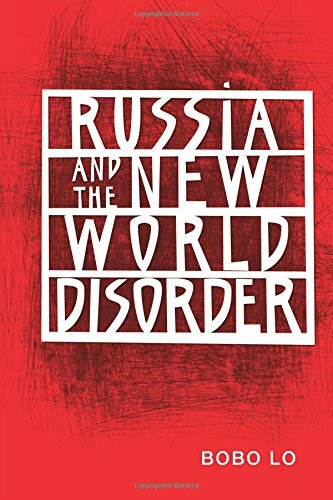 He not only foresees “the specter of a long decline at home and gradual marginalization in international society” for Russia but also that “Russia is less equipped than leading Western nations to adjust to decline” (p. 242). In my view, this is one of the best books that has been written on Russian foreign policy, and it is indispensable for understanding this complex subject. It should definitely be a required text in university courses on Russian foreign policy. I am definitely assigning it in mine.